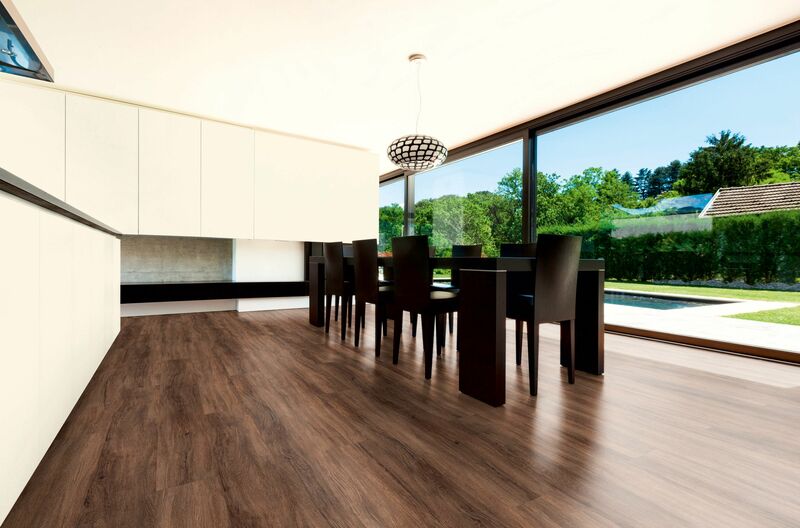 With the addition of mFLOR GRAND to our collection of luxury design flooring, our range of LVT flooring has grown to become one of the largest across the Cheshire and South Manchester regions, with choice available from Karndean, Amtico, Harvey Maria, Distinctive Flooring and Quick-Step too. 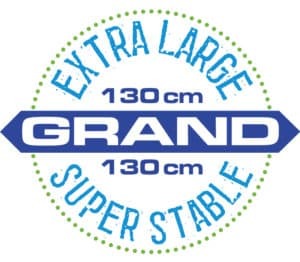 And large is exactly what you can expect from leading Dutch flooring manufacturing mFLOR, with their GRAND range which offers with some of the biggest LVT planks and tiles on the market, now available for your home. Showing: The mFLOR GRAND sample stand at our Knutsford flooring showroom. 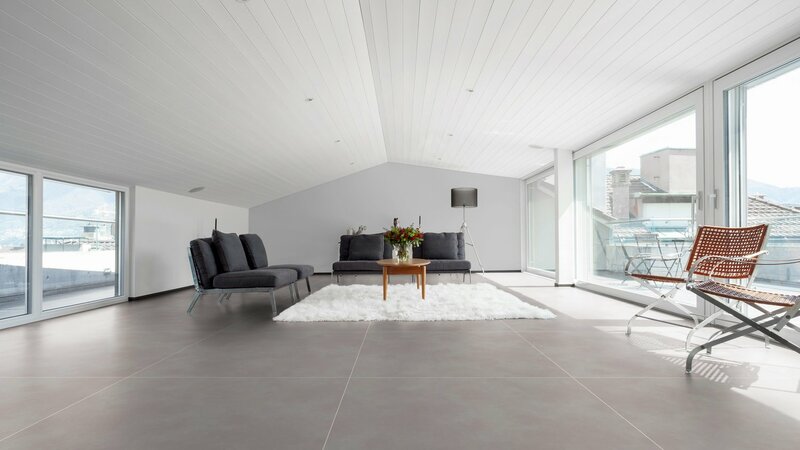 If you have a particularly large space to fill and a large plank or tile is what you’re looking for, then you should definitely see the mFLOR GRAND range. To put into perspective how large the flooring is, the wood effect planks are a whopping 2m in length by 20cm wide with a solid 2.5mm thickness, while the tiles at 130cm x 130cm make a serious statement. Plank or tile, the sheer size of the flooring is nothing short of impressive. Showing: mFLOR GRAND Laurel Dibbin LVT flooring, one of mFLOR’s most popular colours and styles in the GRAND collection. The mFLOR GRAND woods come in a choice of 29 wood designs, all manufactured using the unique hot press method, which guarantees individual patterns on each plank, replicating the look of real wood flooring. Chesham Oak within the GRAND wood range offers a choice of six wood tones, from rustic to modern, each with an authentic oak effect running through the planks. Laurel also has six wood colours to choose from, each one ideal for those looking for a contemporary finish to their wood effect flooring, with grey tones running through the planks. Peterhouse in the GRAND range blends silvers and charcoal greys across a choice of five colours for a rustic floor with an industrial look and feel, perfect for modern homes. Stockton Oak meanwhile, is Scandi-style at its very best with a choice of six lighter, pale woods for a neutral palette, ready for you to incorporate colour and pattern around the rest of the interior. And the last of the wood planks in the extra-large GRAND range is the Authentic Country Willow range, which will bring a real classis, rustic feel to your interior. And Country Willow features mFLOR’s Natural Touch embossing, meaning you can feel the knots and grains on the planks, for the most natural, realistic appearance possible. Showing: mFLOR GRAND LVT flooring – extra-long planks in the Chesham Oak range. Six colours are available in the GRAND Milano tile collection, each replicating the look of real stone, with all the practicalities of an LVT floor. From the creamy palatial style of the Sabbia tile to the deep, dark, industrial feel of the Ardesia, there are also varying shades of modern greys with the Cemento, Tortora, Pietra and Serena tiles. Feature strips are available to lay between the tiles too, with beige, grey, brown and black colours in both 3.4mm or 5mm widths – bringing your floor to life. 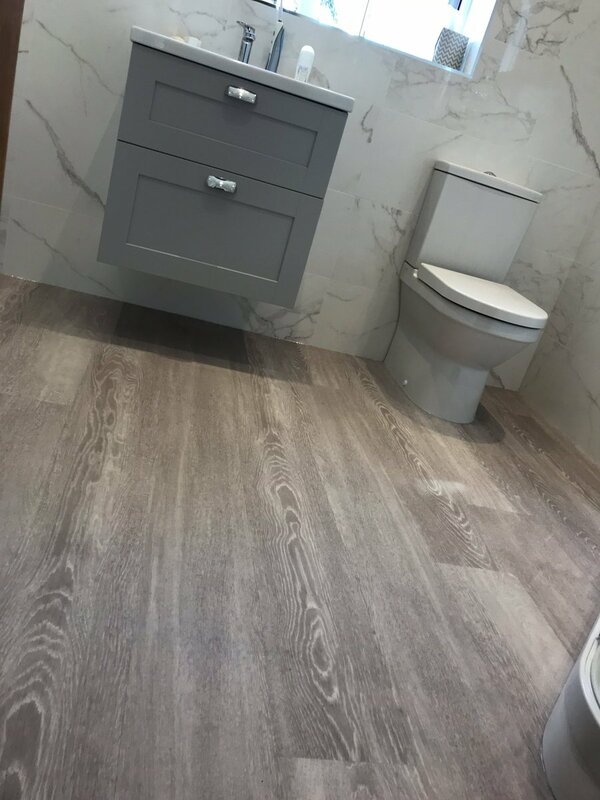 Showing: mFLOR GRAND Milano Pietra large LVT stone effect tiles with fashionable grey tones, shown here with design strips between the tiles. Being an LVT floor, it’s not just the size of the mFLOR GRAND that offers big benefits, but how practical it is too. Perfect for busy homes with children and pets, the mFLOR GRAND flooring is exceptionally easy to clean and maintain and is 100% waterproof as well as being extremely resistant to wear. It can be used with underfloor heating for extra comfort and is much quieter underfoot than laminate or real wood floors. mFLOR is committed to sustainable flooring development too, so you can be assured your flooring is made with the planet in mind, using materials to make your LVT flooring safe. In fact, mFLOR’s design floors comply with the most stringent standards of the European Chemicals Agency (ECHA), which means they are designed in accordance to the same standards set for the plastic materials in toys and care products for children. All in all, the perfect choice of flooring for any family home that works as good as it looks. Showing: mFLOR GRAND Stockton Oak in Bradshaw we installed to a family bathroom in Appleton, Cheshire. 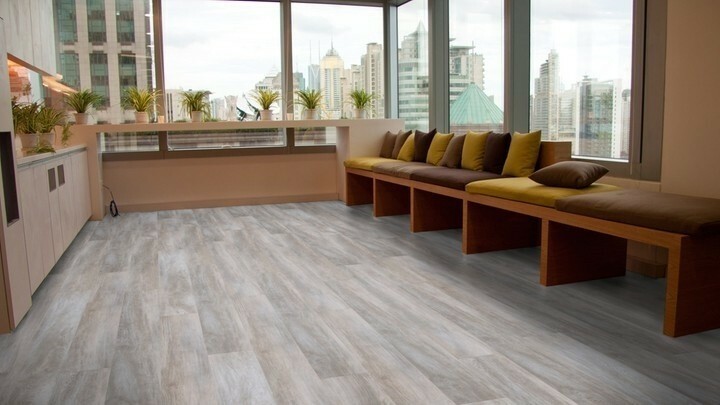 If you like the sound of the extra-long planks and extra-large tiles in the mFLOR GRAND LVT flooring collection, then call in to see us at our Knutsford showroom to see the samples. Alternatively, contact us for a free quotation for the supply and installation of mFLOR GRAND design flooring for your home.